Enter the names and date as shown in the first photo. You can just have the last name or just the first names if you prefer. And if you don't want the full date, just indicate the year. 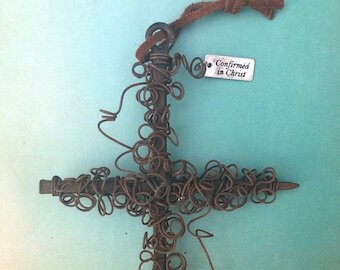 You will "Wow" the wedding couple with this beautiful life-long personalized wedding gift of a keepsake Wedding Cross. 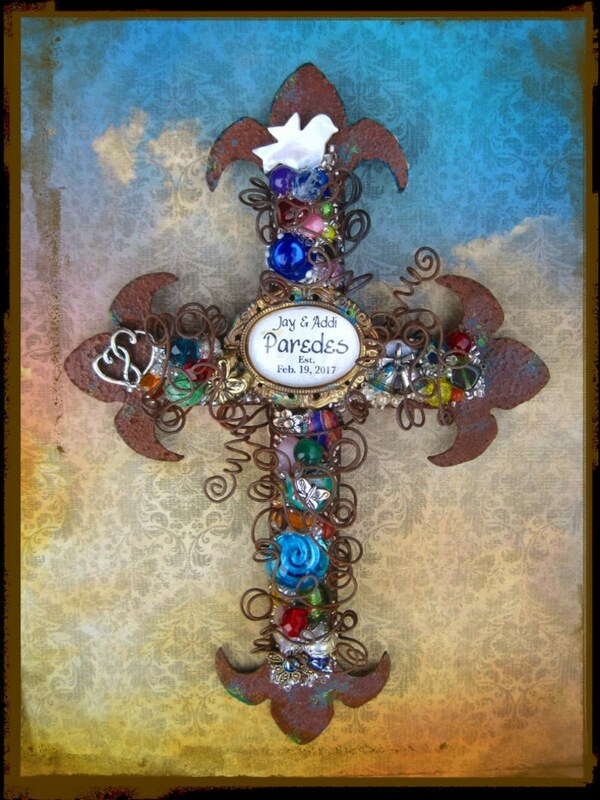 This style cross is a 8-inch heavy gauge rusted iron cross, adorned with new and vintage beads and charms, including a wedding bells charm, and broken jewelry pieces. Wire-sculpted with rusty wire in my unique way of wire-wrapping. 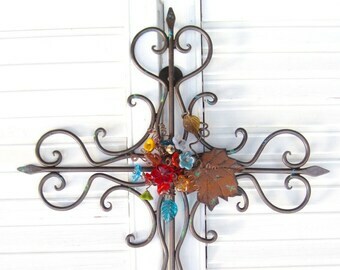 The centerpiece accommodates the first and last names and date of wedding. Simply let me know in the notes section at checkout. 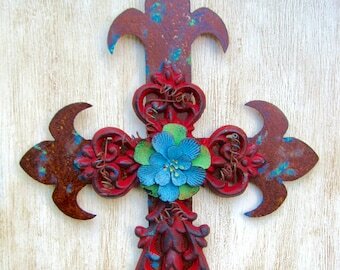 Please feel free to send me a message if you have any questions about personalizing this decorative cross. 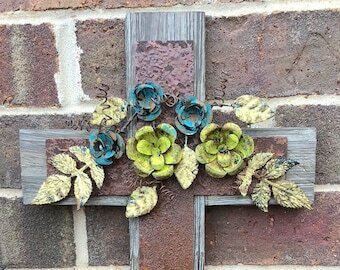 If you have a charm or heirloom piece that you would like added to the cross, you can mail the items to me before I start assembling. 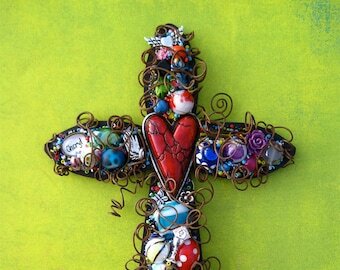 The cross you receive will not be exactly like the one shown, due to variance and placement of beads and charms and the unique wire sculpting. Included is a keepsake gift card.